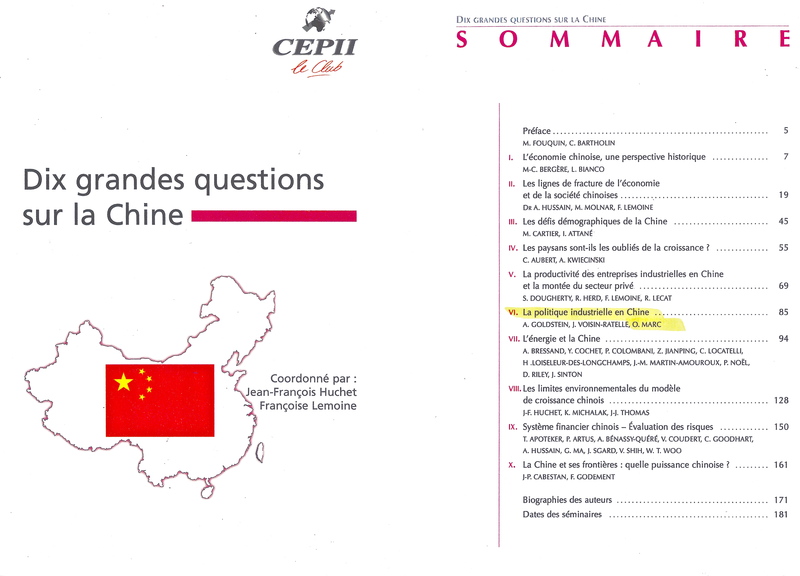 April 2007: Olivier MARC of Euro China Capital participated to the book published by they CEPII: Dix Grandes Questions sur la Chine (Ten Key Issues About China). Olivier MARC took part, in this publication, concerning the industrial policy of China. CEPII is a French research center in international economics. Founded in 1978, it is part of the network coordinated by the Economic Policy Planning for the Prime Minister.